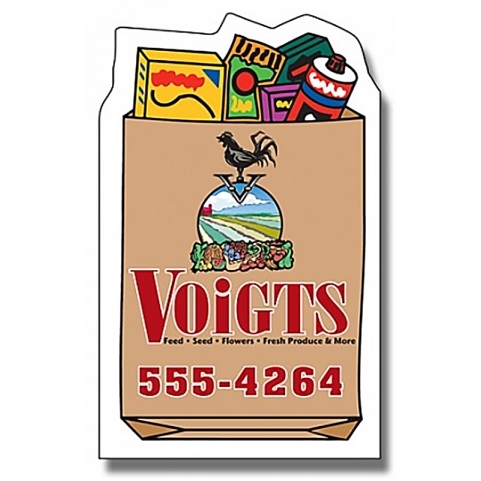 A 1.75 x 2.875 grocery bag shaped magnet can be sought by supermarkets and other advertisers who wish to announce special discounts and offers. 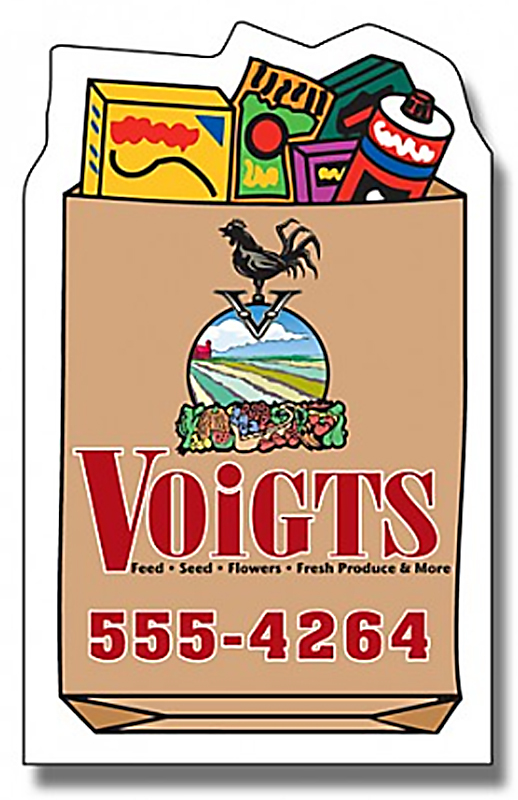 This magnet is outdoor safe and it is best suited for advertising in any season. Grocery bag is one of the most commonly observed shapes and it can be easily identified by large section of audience. This magnet can be easily customized with business information against a payment $0.64-$0.16 depending on the ordering quantity. Product Size : 1.75 in. x 2.875 in.